Over the past many months, I have spoken with many middle and lower-middle class women, who shared stories with me about why they voted for Hillary Clinton over Donald Trump, including a 34-year veteran school teacher who is so news-obsessed, she has her friends text her news alerts while she’s on vacation, and a 24-year-old college student who “kind of liked” Bernie until she realized that the U.S. was one of the few civilized countries that had never had a woman leader. 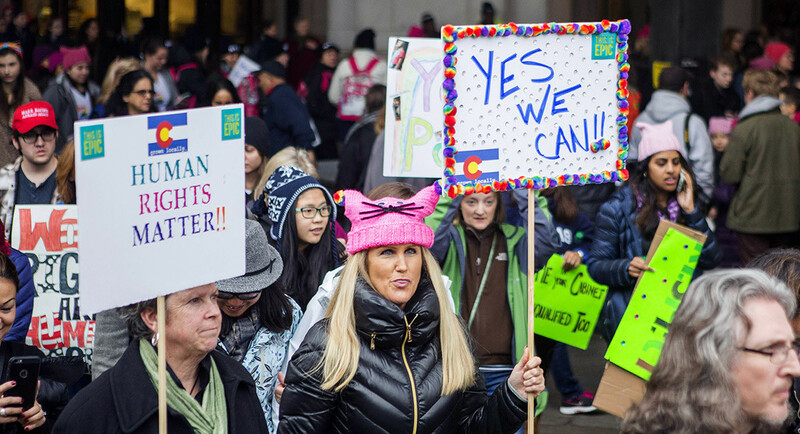 We’ve seen the millions of women who took to the streets the day after the inauguration. We’ve learned that it’s older women who make most of the calls to Congress, and we have heard that nearly 13,000 women want to run for office since Hillary lost the election. All this while the media has mostly ignored the 90 percent of Black women—many of them lower, working, and middle class—who voted for Hillary. And yet, six months later, the media continues to fixate on the white working-class voters who didn’t cast theirs for her in the autopsy of the 2016 election.